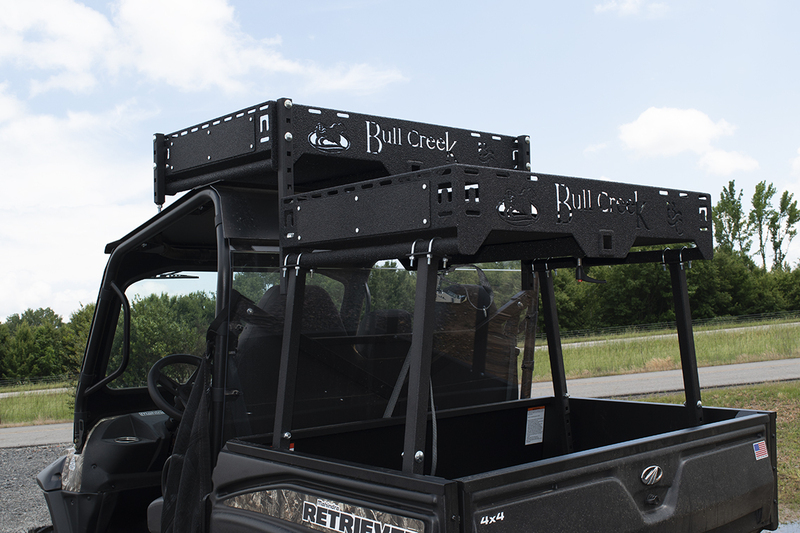 The Double Down combines two Rebel Racks to easily double your storage and hanging space. 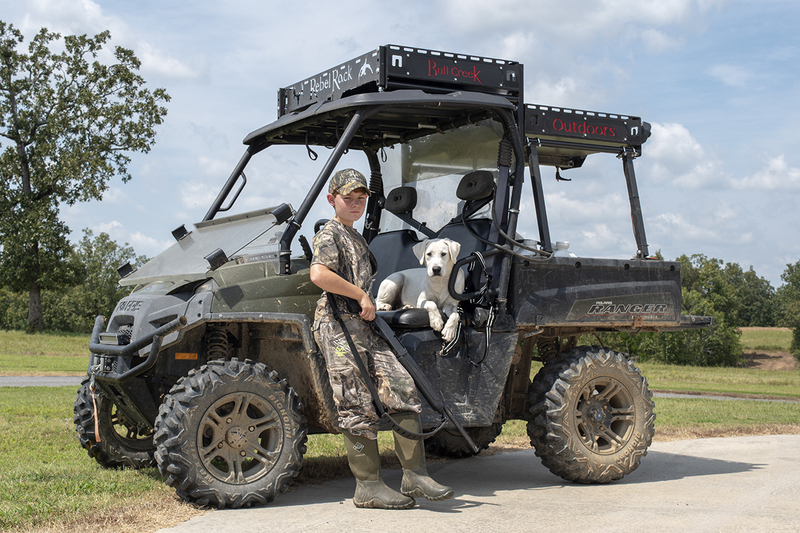 It has all the features of the single basket Rebel Rack with telescoping legs that can be universally anchored to most UTVs without purchasing extra components. The legs hinge in or out and can slide down the bar to fit in just the right location. The Double Down can be coupled back to back for one long rack, or stair step up to go over the cab (with no drilling in the cab). 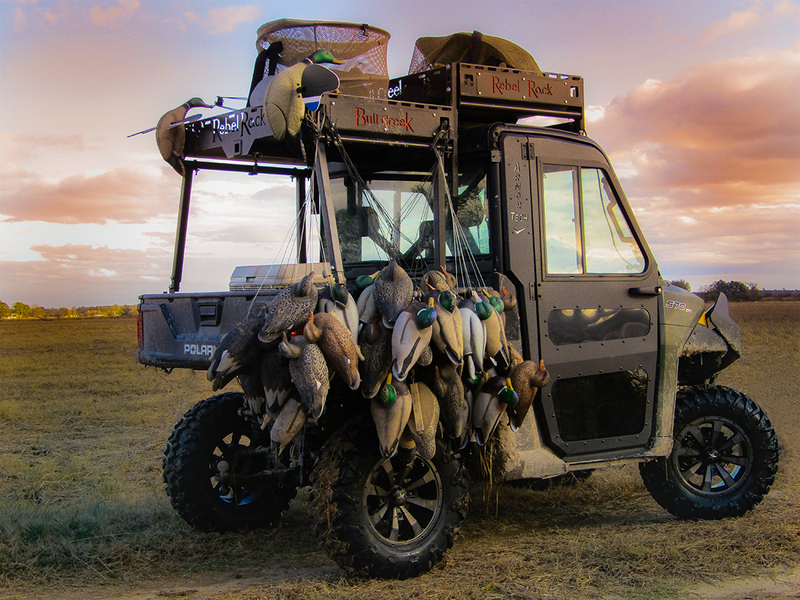 The system is a rough and rugged piece of equipment that is designed to do more than just your typical hunting basket. The backbone of the rack is its heavy-duty receiver tube that runs from front to back. The racks are covered with a tough, spray on polyurea coating for unmatched durability. 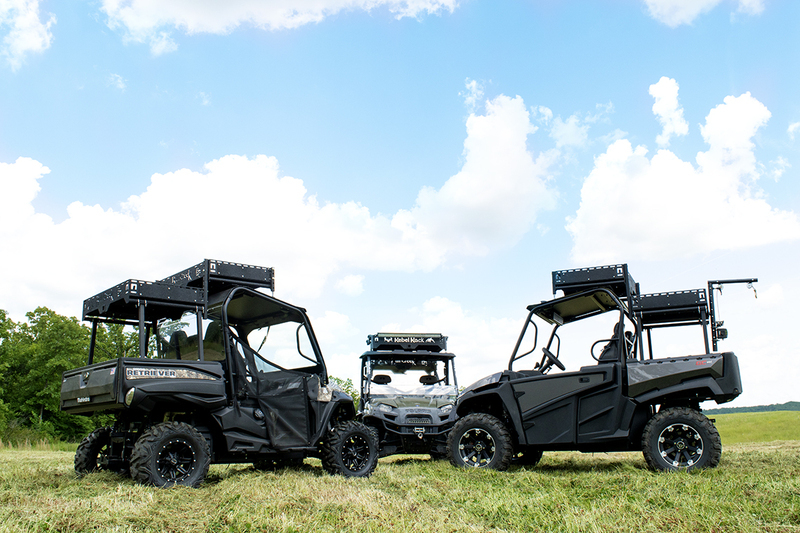 The Double Down can go from the duck blind, deer woods, off-roading, farm, or construction site.